$30, Pre-Registration only. All supplies will be provided, and are included in the class fee. 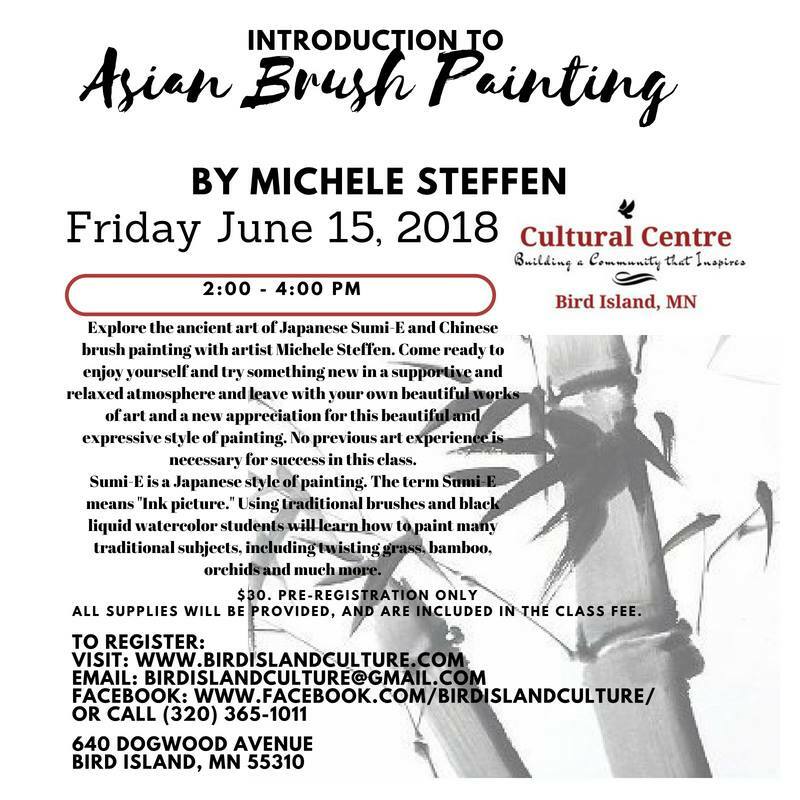 More about the instructor and class: Explore the ancient art of Japanese Sumi-E and Chinese brush painting with artist Michele Steffen. Come ready to enjoy yourself and try something new in a supportive and relaxed atmosphere and lave with your own beautiful works of arts and a new appreciation for this expressive style of painting. No previous art experience is necessary for success in this class. Sumi-E is a Japanese style of painting. The term Sumi-E means “Ink Picture”. Using traditional brushes and black liquid watercolor, students will learn how to paint many traditional subjects, including twisting grass, bamboo, orchids and much more.